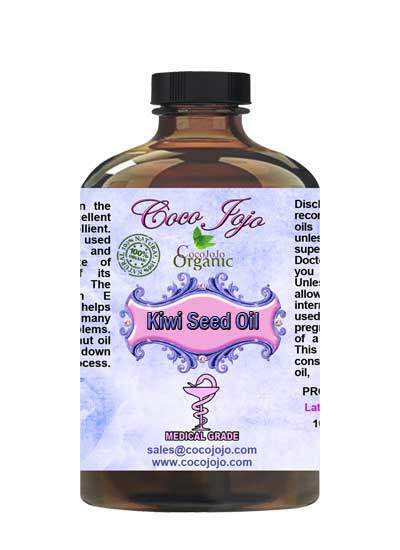 Kiwi Seed Oil product is Unrefined, which means it is in the purest form that it can possibly be in. Our special super-critical extract of kiwi seeds creates a very rich, balanced oil for skin care with over 60% omega-3 fatty acids in the form of alpha linolenic acid and about 15% omega-6 as linolenic acid. Traditionally, these precious essential fatty acids soothe skin and tissue. Skin feels smoother and more moisturized to the touch. 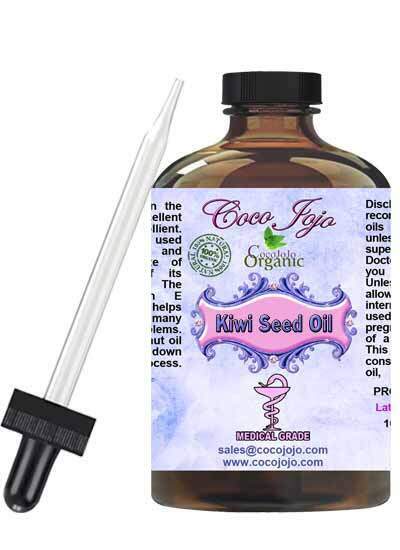 Kiwi seed oil can help improve elasticity. Only 1% of each luscious kiwifruit comprises seeds, and these tiny superseeds are cold pressed to extract their pure oil. The high concentrations of Omega 3 fatty acids in the oil extracted from the seeds of kiwifruit make kiwi seed oil the perfect ingredient for natural skincare. This ultra-nourishing oil can dramatically help to maintain moisture in the skin. Kiwi seed oil contains around 60% of alpha-linolenic acid (ALA), and it is also a rich source of Vitamins C and E.